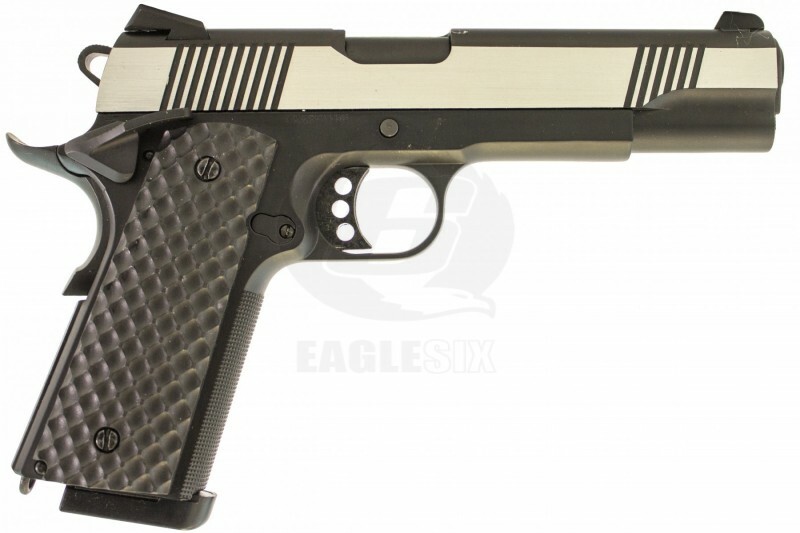 MEU/1911 model features Semi Auto firing mode and golf ball style grips in black. The Raven MEU Series enters the market with style, performance and compatibility at an attractive price point to suit any Airsofters from young to old, casual to milsim. As far as we can tell part compatibility is WE/TM.